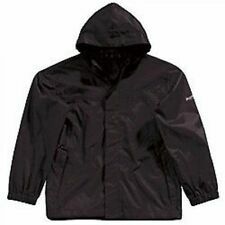 Boy's jacket with hood, zip fastening, showerproof but not sure if waterproof. length approx 22". Ideal jacket for school. Black Next Jacket. for age 11. Boy's Next Rain Jacket Age 4-5 (showerproof). Condition is Very good Dispatched with Royal Mail 2nd Class. Boys black next bomber jacket aged 9 good condition. Boys next bomber jacket black , aged 9 good condition.. Condition is Used. Dispatched with Royal Mail 2nd Class. Hooded Parka Coat. Navy blue colour - 'Parka' style. Fantastic NEXT 'Performance' Boy's Navy Blue Fleece Lined. Fleece lined inside (down 2/3 of coat). 2 press stud fastening pockets and 2 chest pockets. This is a fantastic gilet from Next. Full length poppers. Cord trimming to hems. Quilted & lightly padded. Excellent used condition! boys navy coat 10 yrs next . Condition is Used. Dispatched with Royal Mail 2nd Class. Boys rain jacket, blue, next, size 4 years, great condition. 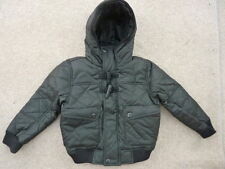 Great condition boys jacket, size 4 years from next. Gorgeous Jacket from NEXT size 9 years. In good condition, apart from one very small tear on elbow, not visible when on, see photos for details. 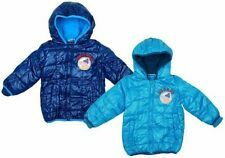 NEXT boy's mid weight lined blue zip jacket + hood Age 2-3 yrs. Front zip fasten. 2 front side zip fasten pockets. Age 2-3 yrs. Boys Next Black & Khaki padded jacket with Tiger print. Age 12 years. Next Boy`s Jackets Anorak Hoodies Yellow. Size 13 years,height 158 cm. Lovely and very useful raincoat. Longish jacket in a kind of dark denim colour with bright orange lining. Next boys blue transparent raincoat / jacket. Size 3-4 years, 104 cm. Main photo taken of another size. In used but IMMACULATE CONDITION! SUPERB QUALITY COAT. For sale I have thisFAB boysHOODED JACKET from 'NEXT'. AGE 3 YEARS. Fantastic lightweight coat in as new condition. Only worn occasionally as not used for school. Great palm leaf design breathable lining. 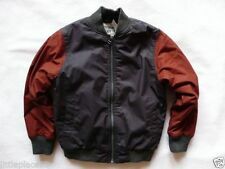 Boys bomber style jacket by Next. Age 6 years. Excellent condition. Boys black Next bomber jacket Age 11 yrs. Condition is Used. Dispatched with Royal Mail 2nd Class. Its finally warming up!!! Grab a bargain for your littleman with this stylish, cool must have jacket. Featuring breathable, airtex at the front with contrasting sleeves. Perfect to wear with absolutely anything for every occasion. Your trendsetter will thank you for it! Has a small slit on cuff on the right sleeve which is hardly unnoticeable but can be stitched up. Otherwise great condition! From a Smoke and Pet Free home I only accept paypal payments Thanks for looking at my items!